The training weekends were transformational from a student perspective but also from an individual perspective. 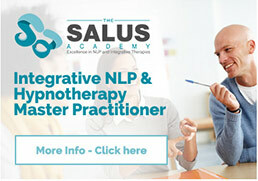 Finding the right course to train as an NLP practitioner is a difficult and daunting task. However, the integrated person-centered approach on this NLP diploma deeply resonated with me. Peggy’s passion for her subject, her students and her clear care for her clients proved highly motivating – and her personable and knowledgeable support throughout makes this course, and Peggy herself, stand out. I cannot speak highly enough of the course or of Peggy as our teacher and friend – her ongoing support is a cherished asset amongst the community and her continuous wisdom means that we are constantly finding new ways to develop and deepen our learning throughout the course of our training, and into practice.